S2K has the ability to import invoices automatically for your main grocery suppliers. We setup the interface and cross reference, you just pull up the invoices in S2k when they import. NO USER INTERACTION NEEDED DAILY TO IMPORT THEM INTO S2K! This is a ‘paperless’ exchange of information that helps to standardize content, improve accuracy and increase efficiency. 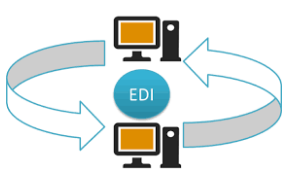 Additionally, the use of EDI helps to lower business costs associated with traditional billing and document processing, as well as saving your staff valuable time. The current approved formats are NAXML and ABC.